The Federal Airports Authority of Nigeria (FAAN) has debunked rumours making the rounds that the Murtala Muhammed International Airport (MMIA) was, on Saturday, attacked by terrorists. A statement by the spokeswoman for FAAN, Mrs. Henrietta Yakubu, described the video trending on social media and depicting the Lagos international airport as being under an attack as a â€˜mock or simulation exerciseâ€™ jointly carried out two years ago by FAAN and the Nigerian military. Yakubuâ€™s statement said, â€œOur attention has been drawn to a video trending on the social media to the effect that the Murtala Muhammed International Airport, Lagos is under terrorist attack. 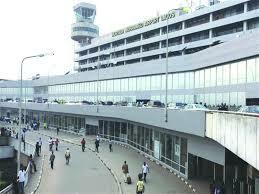 â€œThe Federal Airports Authority of Nigeria will like to state unequivocally that MMIA is not under any kind of attack. The video in question is that of an old simulation exercise carried out by the Nigerian Air Force in conjunction with other aviation agencies. â€œFAAN will like to advise those uploading such to desist from the act as it is not only malicious, wicked, embarrassing, but also sending the wrong signals to the world about the internal security of the Federal Republic of Nigeria,â€ Yakubu added.